"I don't have the time." "It's too complicated. I'll never figure it out." "I don't want to pay the application fees." It should take you about 20-45 minutes. 70% of grants get funded. It's only 1 page. Here's a sample. 1. Look at other teachers who are requesting the same supplies on DonorsChoose.org that you are seeking. Don't plagiarize, but you can take notes and ideas from their campaigns. You don't have to re-invent the wheel, but don't copy and paste their descriptions either. 2. Photos! If possible, borrow or purchase one of the supplies that you are requesting and take photos of students using it. Get them to comment on how or why it is helpful. Make sure you have their parent's permission if you want to use their face in the photo. You want to make this real for the donors to see how their contributions are going to be used. 3. Think like the Donor. They want to do more than just supply crayons. They want to help make your class fun, engaging, and to truly help your students learn. They want to support your creative endeavors to teach students so their year with your class will be forever embedded in their memory. Like you, Donors want to be part of the solution. Help them have an emotional connection with why you want to provide the resources for your students. 4. 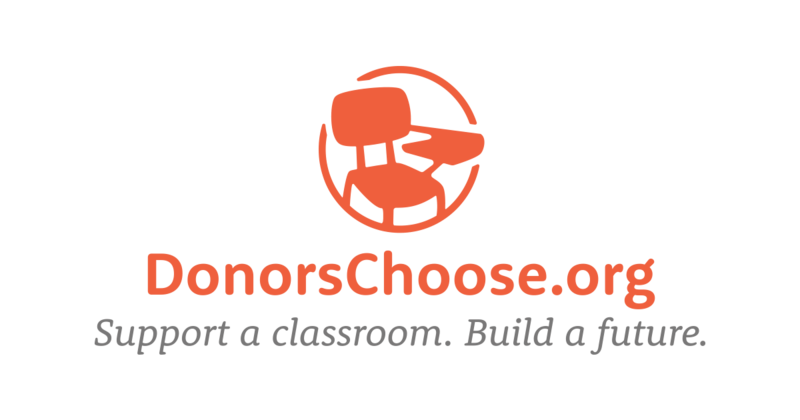 Share your Donor's Choose campaign on your personal Facebook, Twitter, Instagram, and on your school website and emails signature. Even if you are 100% sure that your students' parents won't be able to contribute, you never really know if they can and you definitely don't know who their friends, aunts, uncles, parents, and grandparents would be moved to contribute towards your project. Reach out to your community. Send an email to your local churches, day cares, pediatricians, chiropractors, opticians, youth centers, skating rinks, pediatric dentists, and libraries. Simply ask for a $5-10 contribution and ask if they would be willing to share a link to your Donor's Choose page on their social media to help you raise funds. They want to help you and they want to see you succeed. Be sure to give them a thank you note and a photo. 5. Don't wait until you have time. You'll never have "extra time." Just start. Providing needed resources for your students saves your own personal contributions, helps others find out and be a part of your teaching endeavors, you will inspire other teachers to write grants. As well, it shows your current and future principals how you are willing to go above and beyond to help your students find the resources that they need to succeed. Over 1,400 teachers have gotten their class fully funded so every student could have their own Bouncy Band by using this sample application. Please add your Donor's Choose tip in the comments below.